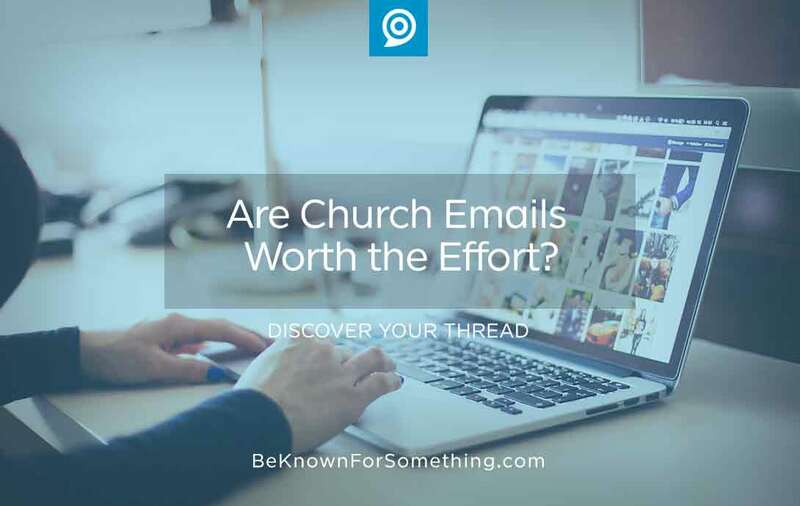 Be Known for Something : Discover Your Church Communication Thread / audience engagement / Are Church Emails Worth the Effort? It’s a great question. It’s a bigger issue though. Much like a parent who’s telling their teenager something, if the teen doesn’t appear to be accepting the information, should the parent stop communicating? No. Instead, the parent has to examine the voice in which they’re delivering the information. If the message content is ignorable, maybe the method isn’t the best. 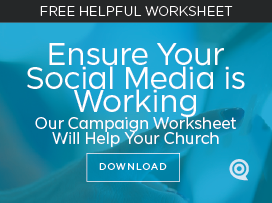 Most churches are using emails to push internal information to their congregations (on Wednesday or Thursday). Information like sermon series marketing, event information, and ministry advertisements. If people are rejecting these emails, they’re probably rejecting your content. Or they’re rejecting the delivery method. Subject lines matter. When an email is delivered, they only see who it’s from and what the subject line is before they open it. Make sure the “from” is from your church (or well-known ministry leader), and then work on subject lines to see if they improve open rates. Google “email subject lines that work” and you’ll get lots of tips. Just remember that your audience is different than others, so try many things to establish your formula. Tip: Keep them short, but not too short. Also avoid spammy words, and tell them what to anticipate inside. Are they receiving the content another preferred way? Maybe the majority considers the email ignorable because they go directly to your website for the info. That’s the best case scenario! If most of your list does, then consider dropping the email. Tip: Send out a survey email seeking advice on your email. Use a subject line like, “Can I have your advice for our Church?” You’ll be surprised what you’ll find out. Ask questions that will help you deliver communication materials effectively. Tell people on Sunday to expect a “special survey email” this week! Don’t ultimately rely on a tool. This is the main point. Perhaps email isn’t your best use of time, especially if your open/click rates are abysmal. What do we know about this digital world we live in? Most want to seek out info when they want or need it. Tip: This makes your website critical to your communication strategy. Make sure your content is easily discoverable from your homepage and inside pages delivering information as concisely as possible to reward those who seek it. Every email you send teaches your audience to either pay attention or ignore you. What we say and how we say it as it relates to what your audience wants and values are the biggest factors.